Trade allows companies to grow, thereby creating employment and reducing poverty. However, we also believe that enabling trade in itself is not enough. We seek to manage risk for our customers in a transparent and ethical way while supporting the ten principles of the United Nations Global Compact (UNCG). We support the ten principles of United Nations Global Compact on human rights, labour conditions, the environment and anti-corruption. Every year we report to the UN Global Compact on our continued commitment and the progress we are making in all areas of corporate responsibility. Corporate responsibility is embedded into our business strategy, culture and day-to-day operations. We have used input from our stakeholders to define what our most material issues are. This input is plotted in our Materiality Matrix. Atradius' commitment to behave ethically incorporates social, environmental and financial prosperity. The contribution we make is meant to help strengthen social welfare and build a better environment. In addition, we have a dedicated Corporate Responsibility Team with representatives from offices throughout the world. Their role is to coordinate group activities, identify issues and support the development of our Corporate Responsibility Policy. Local activities are coordinated by local teams. These give our people the opportunity to contribute to local environmental and community needs. 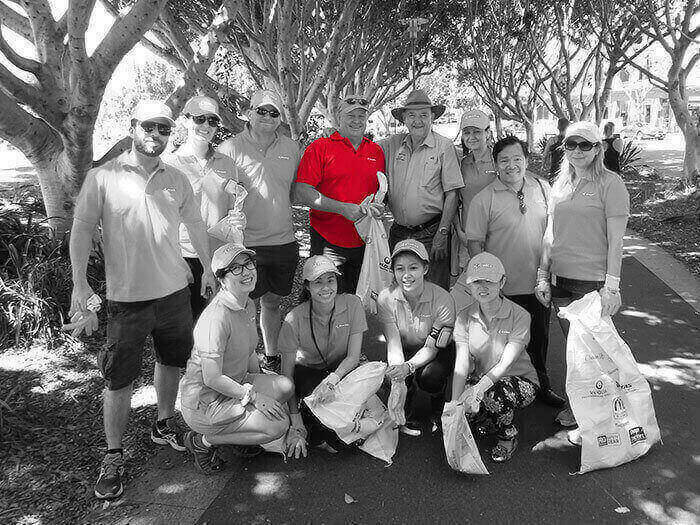 Recent examples include participation in a Clean Up Australia initiative by members of our Sydney office and a tree-planting project in the Czech Republic. This involved two groups of volunteers who cleared a preserved area in the Prokopské Valley in Prague and planted over one hundred Beech trees. Corporate responsibility is part of our ongoing operational strategy and includes the formulation of future objectives.